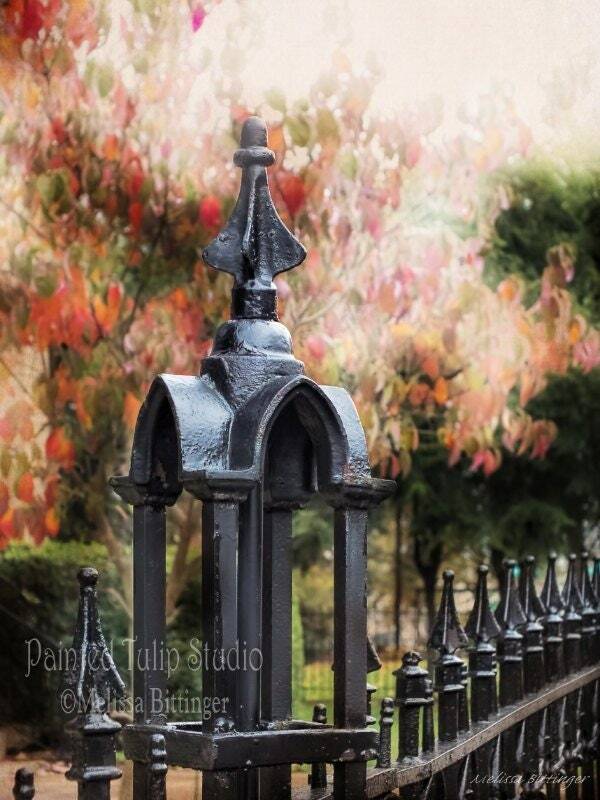 Decorative fence at the Congregation Emanuel Synagogue, est in 1883. 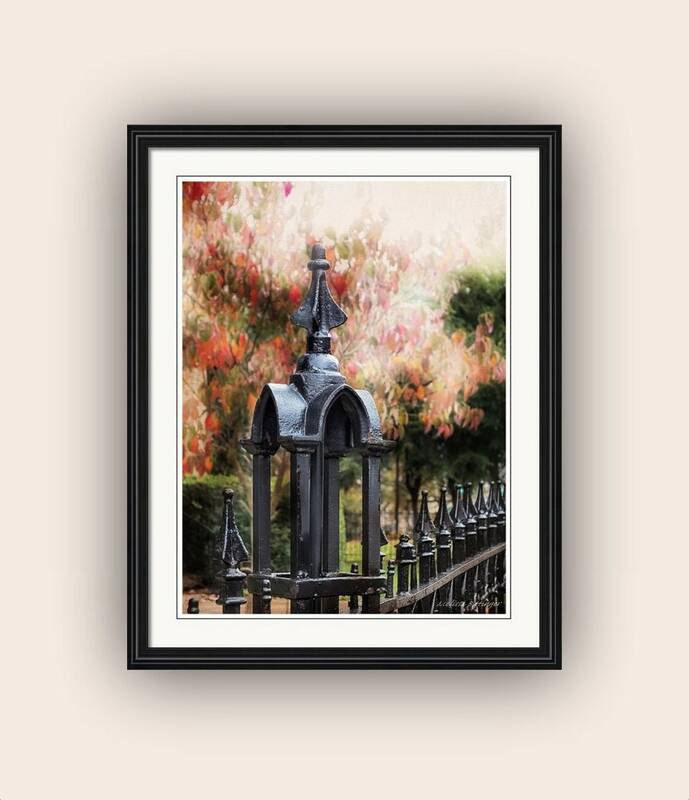 Located in a Historic District in Statesville North Carolina. 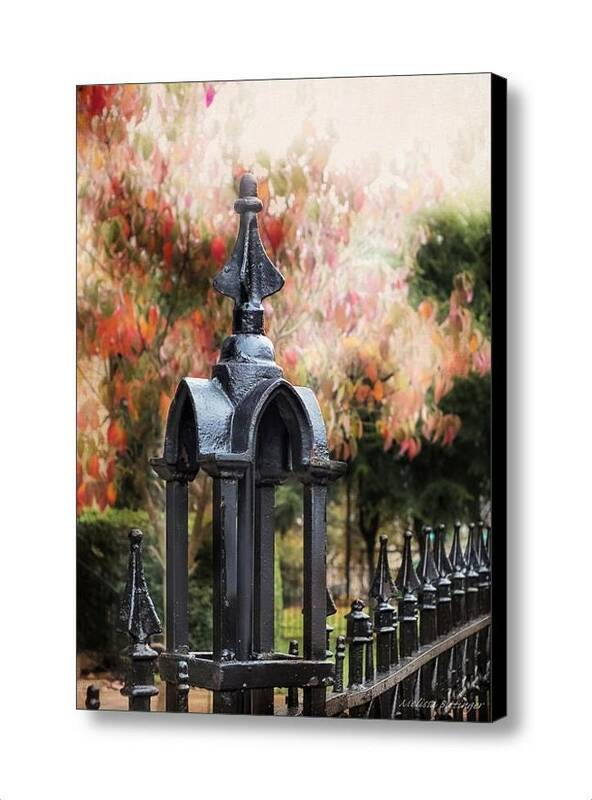 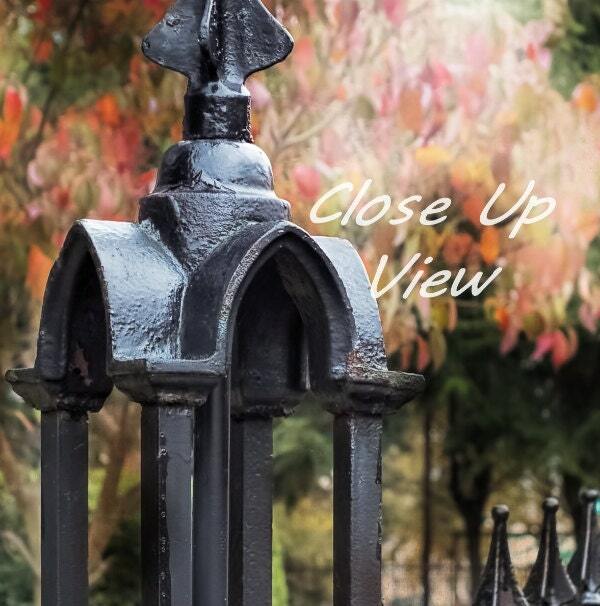 Beautiful Autumn colors in the background creates a striking image with the wrought iron fencing.